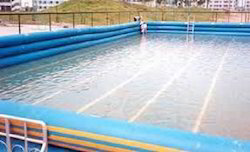 Pioneers in the industry, we offer large readymade swimming pool, endless pool, ready made swimming pool, infinity pool, portable swimming pool and round swimming pools from India. 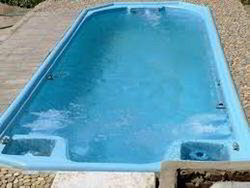 With an excellent proficiency in this field, we are providing a qualitative range of Readymade Swimming Pool to our valued customers. The offered ready-made pools are designed as per the current trending designs using superior quality material and advanced technology and in compliance with the industry laid standards. These are highly reckoned for their beautiful designs, easy installation, and durability. Additionally, our products are made available to our valuable clients at affordable rates and are delivered in the given time frame. Backed by the team of expert professionals and immense knowledge in the domain, we offer a comprehensive array of Infinity Pool. These pools produce a visual effect of water extending to the horizon. 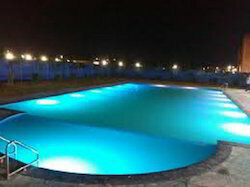 We design these pools with precision in a number of designs and shapes, as per the demands of the clients. The provided pools are made using premium quality components and latest cut edge technology to meet the standards set by the industry. Furthermore, we offer these at market leading price. 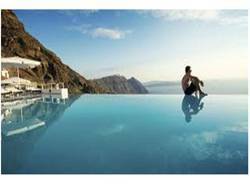 An infinity edge pool (also named negative edge, zero edge, infinity pool, disappearing edge, or vanishing edge pool) is a reflecting or swimming pool where the water flows over one or more edges, producing a visual effect of water with no boundary. Such pools are often designed such that the edge appears to merge with a larger body of water such as the ocean, or with the sky. They are often seen at exotic resorts and exclusive estates, in advertisements, and in other luxurious places. Our company is amongst the well known companies that offer an extensive range of Portable Swimming Pool to meet the needs of our clients. These products are rigorously tested on various quality parameters by the quality detectors and are authenticated as per the industrial standards. This is highly efficient and ensures long lasting service life. We are offering these products at reasonable rates. Our organization is counted amongst the most distinguished manufacturers and suppliers of excellent quality Round Swimming Pools. Highly experienced and qualified professionals manufacture the offered range following industry set guidelines. Post-production, these products are inspected on certain parameters of quality to ensure their defect-free nature. Being one of the reputed organizations in the market, we are engaged in providing a broad range of Plunge Pool. These pools are specially designed for villas and bungalows and are available in diverse shapes, sizes, and designs. The provided pools are made in compliance with the industrial standards by using high-grade material and utilizing latest technology under the strict supervision of diligent professionals. To maintain their premium quality and flawlessness, a team of quality controllers strictly check these pools against predefined quality parameters. For the diverse requirements of our clients we are involved in offering an extensive range of Olympic Size Swimming Pool. These Swimming Pools are constructed by using fine quality material which we sourced from the certified vendors of the market. These have fine finishing and have long life. Moreover, our services are executed by our experts to render maximum client satisfaction. Backed ourselves with a crew of proficient and experienced workforce, we are engaged in providing Outdoor Swimming Pool Turnkey Projects to our customers at economical rate. 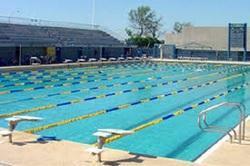 We are a well-known name in the industry engaged in providing Endless Pools to our valuable clients. 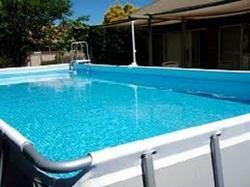 These pools are incorporated with the anti-skid floor, anti-slip steps, and sturdy sidebars. These are designed from our state of the art technology and high-grade FRP material to provide durability and long functional life. Further, we provide customization of our products to meet the variegated demands of our clientele. 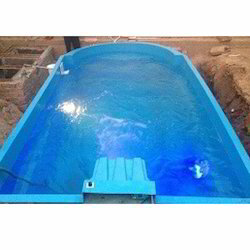 Moreover, our customers can avail these endless pools at reasonable prices. This may be accomplished either by accelerating the water past the swimmer or by supporting the swimmer either in water or on dry land. The first type, known as a counter current swimming machine, usually consists of a water tank at least twice as long and about one and a half times as wide as an average person does with the limbs extended. The swimmer swims unrestrained against an adjustable stream of water set in motion by means of mechanical devices, such as jets.